DePaul’s newest addition Carte’Are Gordon was in attendance for DePaul’s game against Butler Wednesday night. Gordon announced his commitment on Jan. 15. Carte’Are Gordon knew he needed a change. That change came when Gordon announced on Jan. 15 he was moving from St. Louis to Lincoln Park to join the Blue Demons. 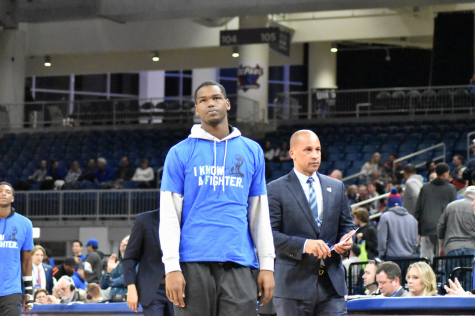 Gordon was on the bench for the Blue Demons game against Butler the following night surrounded by new teammates and in a new city. Gordon said he chose DePaul as the destination for his fresh start at least in part because of a conversation he had with head coach Dave Leitao when Leitao brought him to his house on his recruiting visit. Gordon’s past isn’t as pretty as the place Leitao wants to get him to during his time at DePaul. During his senior year at Webster Groves High School just outside St. Louis, Gordon incurred two suspensions. The lengthier one resulted from an altercation with a teammate. He incurred a second one on a technicality. In a late February game, Gordon leaped off the bench and rushed across the court to celebrate with a teammate who had just dunked the ball. En route, he bumped into an opponent resulting in an automatic ejection which in turn resulted in an automatic one-game suspension. The year prior, Gordon had transferred over to Webster Groves High School from private, Catholic school St. John Vianney. While enrolled at Vianney, a heated verbal dispute between him and his coach earned him a suspension for half a game. During his time at Vianney, there was tension in his family because the Gordons were Jehovah Witnesses, yet St. John Vianney was a Catholic institution, according to report by STL Today. An uncle who was providing him with the needed financial aid to attend Vianney also lost his job, another reason he transferred to Webster Groves, which is a public school. Tuition at Vianney is over $15,000 per year. Gordon lasted five months at St. Louis University, tweeting that “personal issues with my family” and a desire to do “what is best for me and furthering my career” contributed to his migration to Chicago. Through all the mistakes and tough decisions, everybody from journalists to Twitter trolls have questioned him. As he stands in the tunnel of Wintrust Arena politely answering interview questions, he doesn’t flinch when one about his past comes up. He answers calmly. Confidently. As if he expected the question was coming and was ready with an answer. Leitao was one of the people who didn’t define the former four-star recruit by his past mistakes. If things go well, Gordon will operate next to two top 100 recruits, a fellow talented transfer in Hall and another in Jalen Coleman-Lands, and returning contributors Paul Reed, Jaylen Butz and Devin Gage. 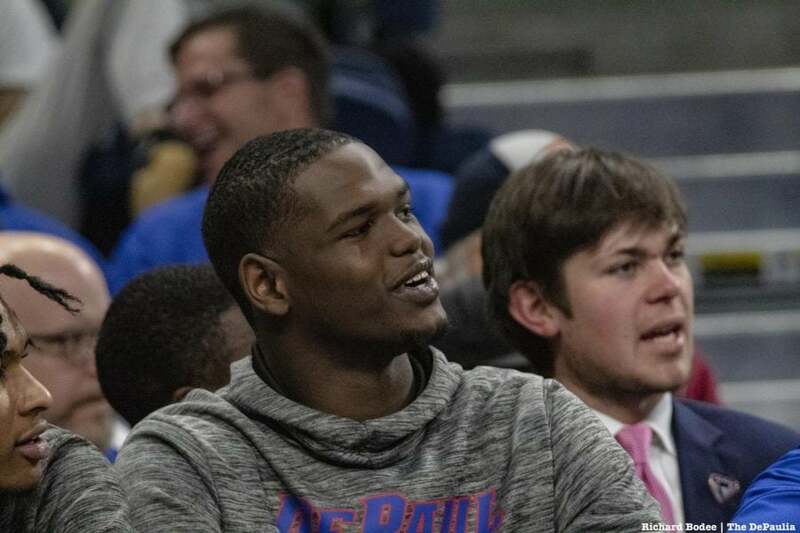 It would be a fresh start for Gordon in perhaps a turning point season for DePaul.